When a client comes to us, we sit down with them and write a detailed description of what device they need. Often, we can tell them where they can buy it, give them the part number, and say goodbye. This initial consultation is free; call it our PR budget. If there is no off-the-shelf solution, we start looking at design options. We discuss the specification with the client, then we get back to the client with an initial quote. The Casio F91W wristwatch. The design hasn't changed in twenty years. Casio won't say how many they sold, but how many people do you know who own one? Photo by Wikipedia Commons user NotFromUtrecht. This is the stage where many clients vanish. The device they need isn't much more complicated than a digital wristwatch, so why are we quoting a four- or five-figure price? Many familiar electronic devices sell in the millions. If you buy a cheap wristwatch, you are paying less than a millionth of the development costs. If development costs are in the hundreds of thousands of dollars, and sales are in the millions, the development cost per unit is less than one dollar. Hartman Technica designs to customers' specifications, and we make only as many units as the customer wants. We may only make one device from a design. We often make a few dozen units. Manufacturing costs are usually comparatively low. Our quotes are often more than 80% design cost. If you mass-produce our design, you may be able to spread the design costs amongst many customers. If you need a one-off, you may have to bear all the design costs yourself. It is worth considering selling a few units to others with similar needs; even ten units can cover your costs (see below). 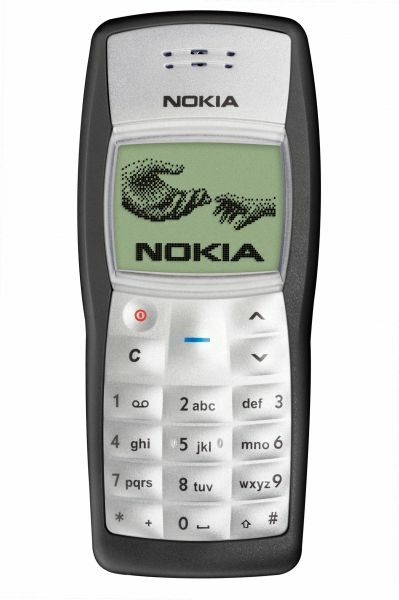 The Nokia 1100. 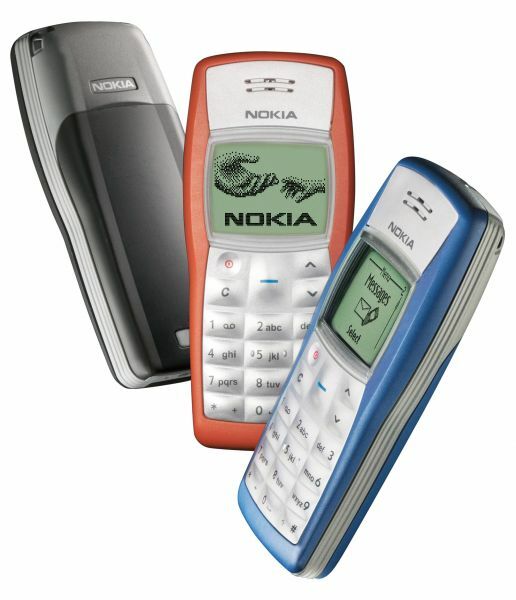 Hundreds of millions of copies of this phone have been sold, with only minor design variations. Photo by Nokia, used with permission. Manufacturing costs are usually a fraction of design cost (see above). The cost per unit drops very rapidly as more units are made. If you think there is a market for your product, make a few more and sell them. You may be able to recover the development costs, or even turn a profit. Hartman Technica is not a venture capital firm; you'll have to work out financing yourself. We like designing for start-ups, though. Alternately, cost-share without risk using our CoDesign forums. You won't turn a profit, but you will get your product as cheaply as the demand allows. A precise specification is very helpful, but don't make it narrower than your requirements. If you have any flexibility in the specifications, tell us. We might be able to use it to make the job much cheaper. Try to make all of the changes you need as early as possible, ideally while we are discussing the specification. As soon as we start design, a change of specification gets rapidly more expensive. If you aren't sure yet, tell us, and we'll design around the uncertainty. Include projected quantities in your specification. We design to minimize cost at the specified quantity. We can design for mass production, but such a design would be needlessly expensive if you only want a few hundred units. Similarly, a design which is economical in a one-off causes needless expense if you make more than one. If you already have a prototype design, be willing to throw out everything but the experience and start from scratch. It's not that we scorn your prototype; we throw out our own prototype designs, too. We throw out designs that are in production, if it's worthwhile to do a second model. Electronics designs do not age well; a single new component can cut price or improve performance drastically. Trying to cling to design ideas is usually expensive and hurts quality. The line between research and development is a fuzzy one. Where we can, we use established techniques to give the required performance with a minimum of uncertainty. What if no existing techniques will suffice? Knowing it's possible isn't the same as knowing how to do it. Rarely, it's not even certain that it's possible. Under these conditions, we have to experiment. We are no longer doing pure development; we are also doing research. Unfortunately, research is unpredictable. We can't tell you how long it will take, or what the method will cost once we've discovered it. We will warn you if your design involves a research project, but we won't quote a firm cost or timeline for results. Owning technology no-one else can match is a major competitive advantage, and clients have done very well out of our R&D. It's interesting work that keeps us sharp. Some of our customers need modifications or design updates. For instance, the Grain Academy Museum has an amazing 30-meter-long moving model of grain transport by train from the prairies to Vancouver. We built them an automated controller in 1991. Since then, we've updated the control mechanism to suit changes in track layout, train length, recorded commentary, and technology. Minor updates are quite cheap. Complete redesigns are more expensive. Our designs are good. Many of them are made for hostile environments. For instance, we have designed devices to run on live 400kV AC power lines, devices that are showered with corrosive fluid in an explosive atmosphere (Class I, Div. 1 certified), devices that get dragged briskly through the taiga on a helicopter tether, and devices that experience a temperature range of over 80 degrees Celsius. Our customers rarely complain about reliability or performance. Our last product return was from some sheepish Australians who refused to tell us what they'd done to it. Since the weakest component was a cheap, easily replacable one, it was soon back in Australia. We usually contract for warranty repairs before we start design. It's cheap, because our products are reliable. Feel free to send comments to our webmaster.